What can we say about this miraculous image, which started circulating on Reddit yesterday? 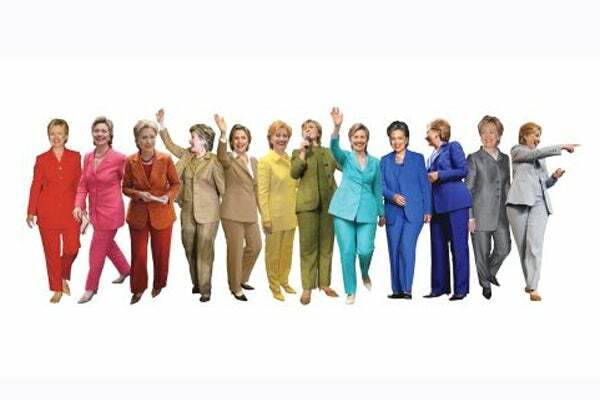 Former Secretary of State Hillary Clinton may love a good pantsuit, but you can't say she doesn't take risks with them, as this candy-colored collage proves. Kudos to the crafty political junkie who compiled this little gem. But now, the real question: Which of these ROY G. BIV numbers is your favorite?